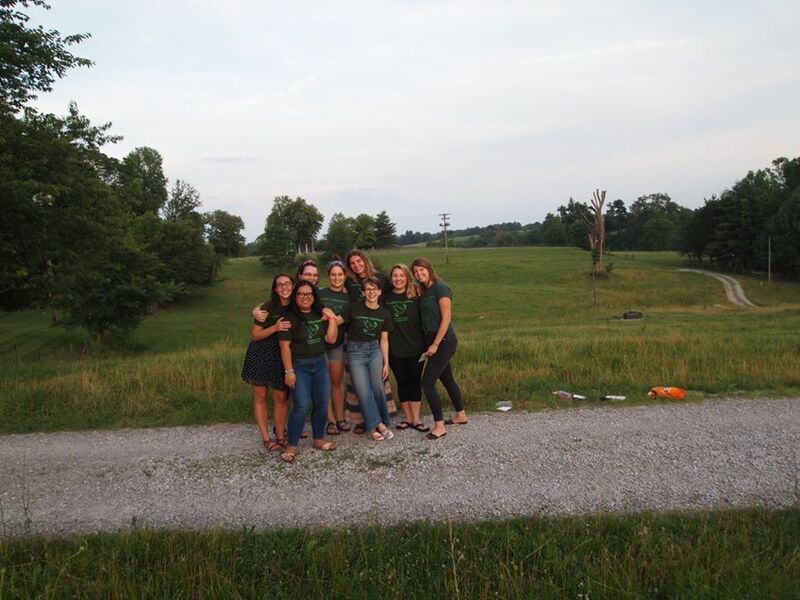 Melissa’s reflective, fun, and expertly produced podcasts come full circle in this final piece, as she celebrates a year of service with three other Loretto Volunteers. Many thanks, Melissa, for bringing so much life and energy to CVN’s #servingwithsisters Ambassador series. Blessings as you continue your journey as a second year Loretto Volunteer! The 2017-2018 Loretto Volunteers and our program director Mallory Daily, on our last day of closing retreat, at the Loretto Motherhouse. 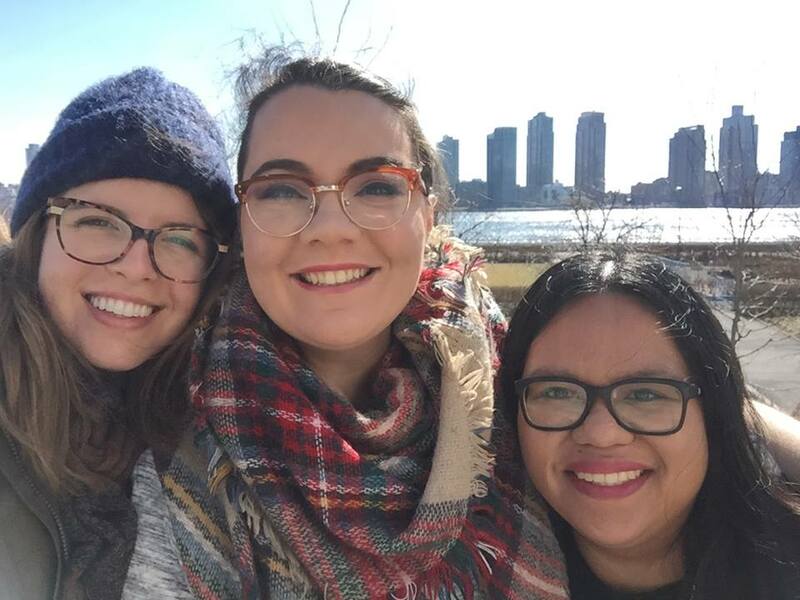 From left to right, Mallory (Loretto program director), myself, and Mary Louise at the UN in New York, where she worked this year. 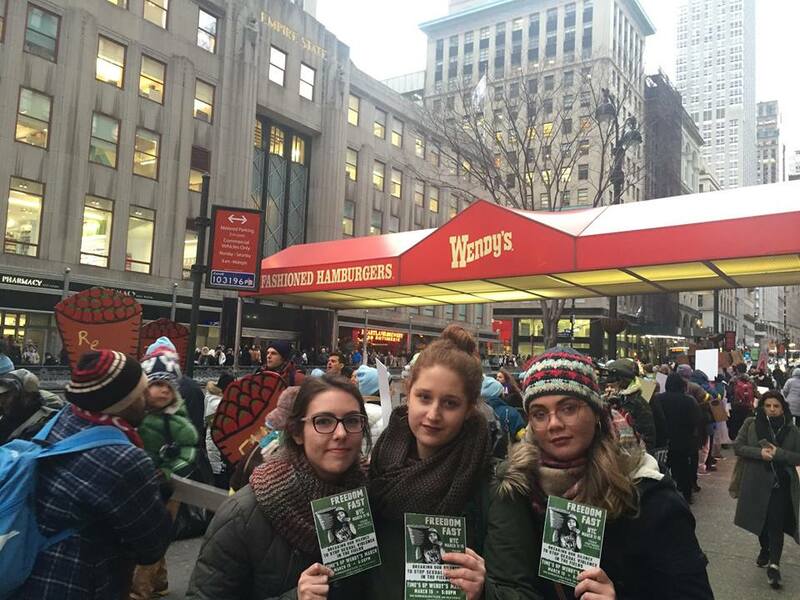 From left to right, Jackie, Hannah, and myself, at a demonstration protesting Wendy’s in New York City. You can read why here.